If you follow me on Facebook or Instagram, you may know that I am very passionate about great brows. 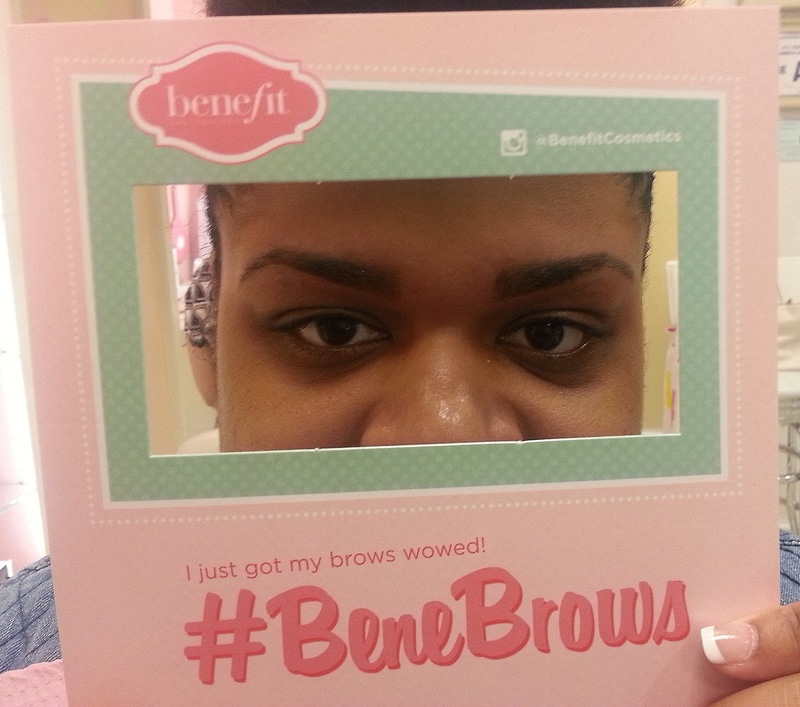 I began visiting Tia at the Benefit Brow Bar in Crabtree Valley Mall over a year ago. When I first began going to Tia, my brows really needed help! Tia hooked me up with gorgeous brows that now have a wonderful shape. Now the Brow Bar has introduced something new along with their wax services. They now have brow tinting. Brow tinting is temporary color that is added to your brows that can last up to four weeks. The tinting enhances the shape and the best part of all is that it can replace filling in your brows for the length of time the color lasts. When I first heard of the service, I was immediately intrigued and decided to give it a try. 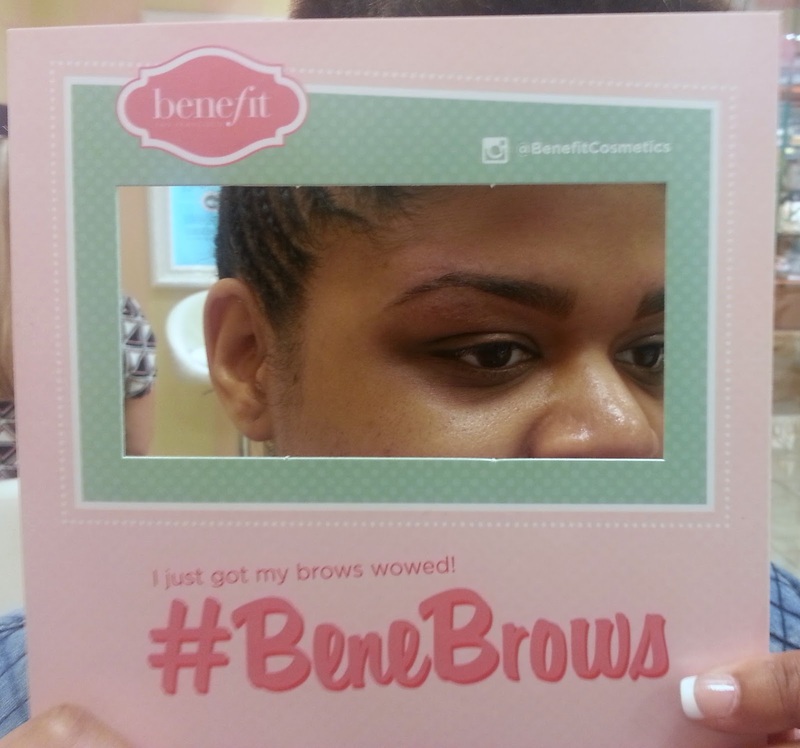 When I arrived at the Brow Bar, Tia tinted my brows first. She created a custom color using their vegetable based color, applied it to my brows and allowed it to set for one to two minutes. Afterwards she wiped the excess away and followed up with her usual waxing process. When she was done, I was shocked at how gorgeous and full my brows looked! I noticed that the brow tinting lasted just over two weeks for me. Although I loved the way they looked, I am on the fence about getting the tinting done again. Brow tinting is a great time saver, but I wish it lasted longer than two weeks. Plus, the total cost for the brow waxing and tint service at my local Brow Bar is $32. I'm still up in the air, but I would love to know what YOU think. 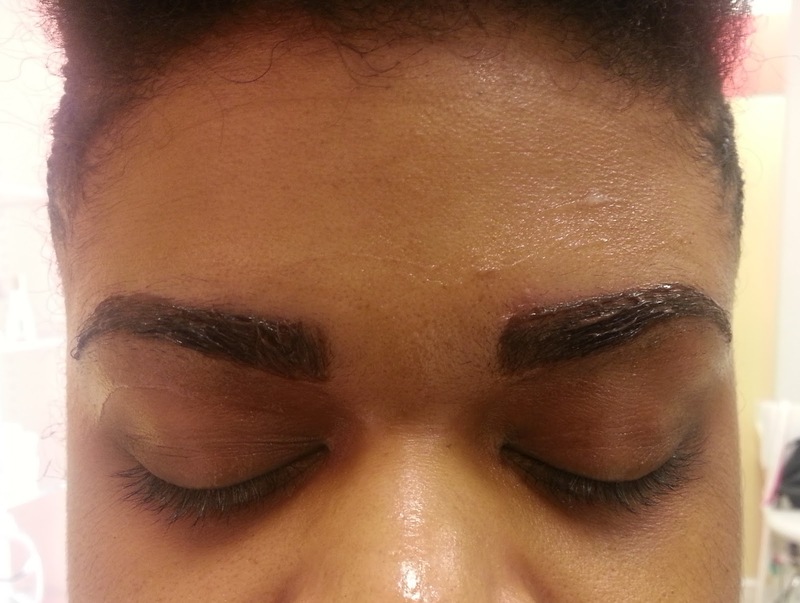 Have you ever had your brows tinted? Would you give it a try? I received a free brow tinting in exchange for my honest thoughts on the service. I haven't, but now I'm willing to give it a try! Ash, your brows look great. Hmmm...I don't really trust anyone else with my brows, but this may be a good investment. For the time it saves in the morning, if anything...gonna check it out! I love your honesty. But only lasting 2 weeks is not long enough for the price. I really liked how it filled in your eyebrows though. 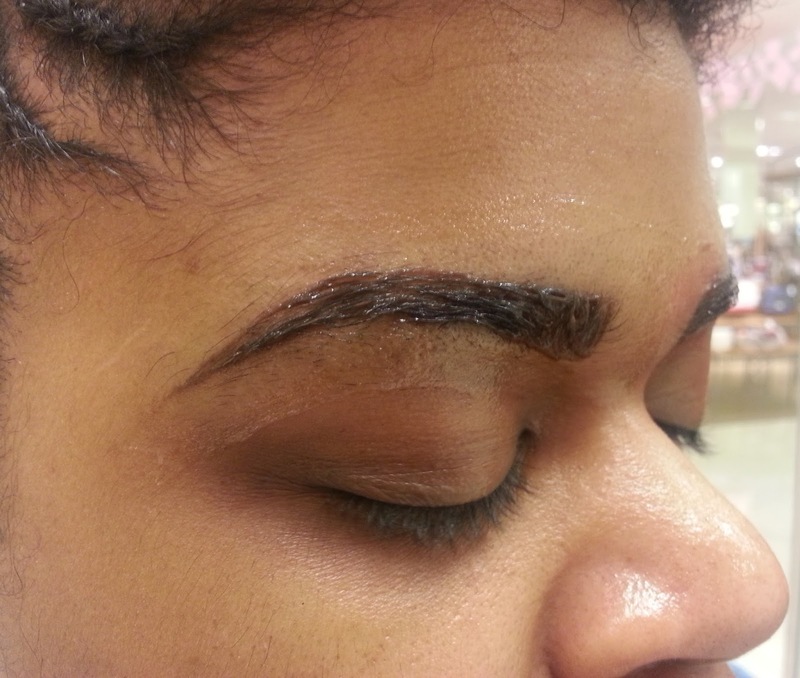 My colleague gets her brows tinted and I would say it lasts about 2 weeks or so as well. Though complementary, I don't think I'd get it because it's not cost effective and lasting. Wow! Well, I'm glad to know it wasn't anything I did to possibly make it not last longer. I'm glad you can relate to me on the cost. I wish it was complimentary with the service. I never thought about that option! I've never had my brows tinted, however that price seems a little steep. If it lasted longer, I probably would do it. At least they turned out great and now you know! 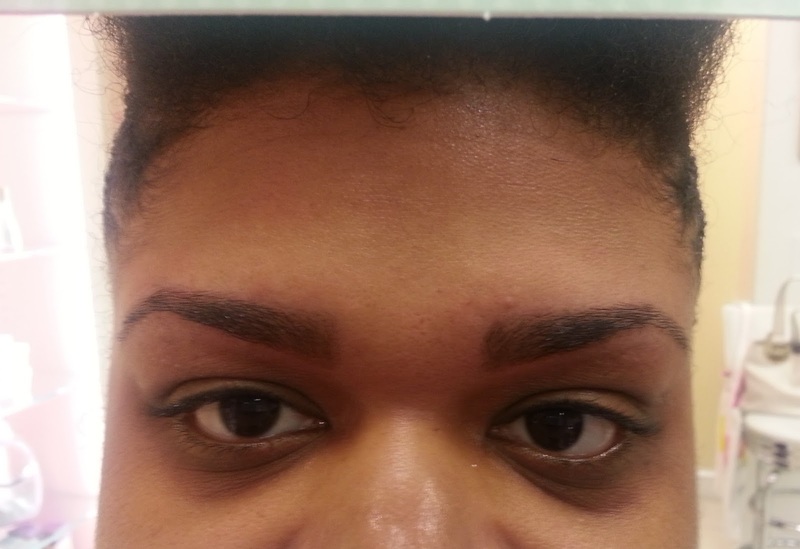 I tint my own brows with demi-permanent hair color. I read online how to do it and it works. lasts about 6 to 8 weeks. Since I started getting full face threading, I notice my face/brows look so much better. More power to you for tinting them yourself! You look amazing, love this entire look so chic!